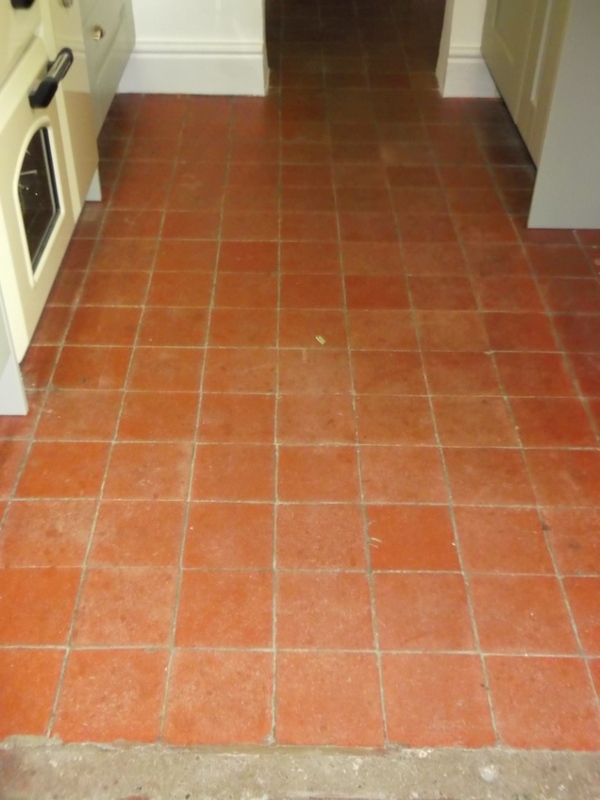 Details below of An 8m2 Quarry Tiled Floor in the kitchen of an old 18th century farm cottage in the village of Friston, which over time had lost its shine and become dull. This floor like a lot of floors we get asked to maintain had lost it’s sealer over the years and was in need of some Tile Doctor TLC. 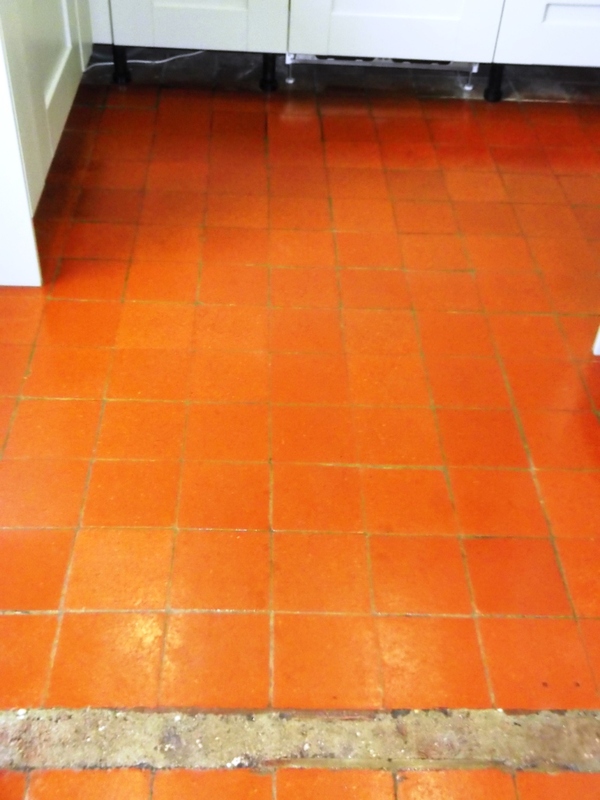 The floor was thoroughly cleaned using 1 litre of Tile Doctor Pro-Clean, a multi-purpose high-alkaline cleaner, degreaser and stripper created for use on most stone and ceramic tiles in use today. 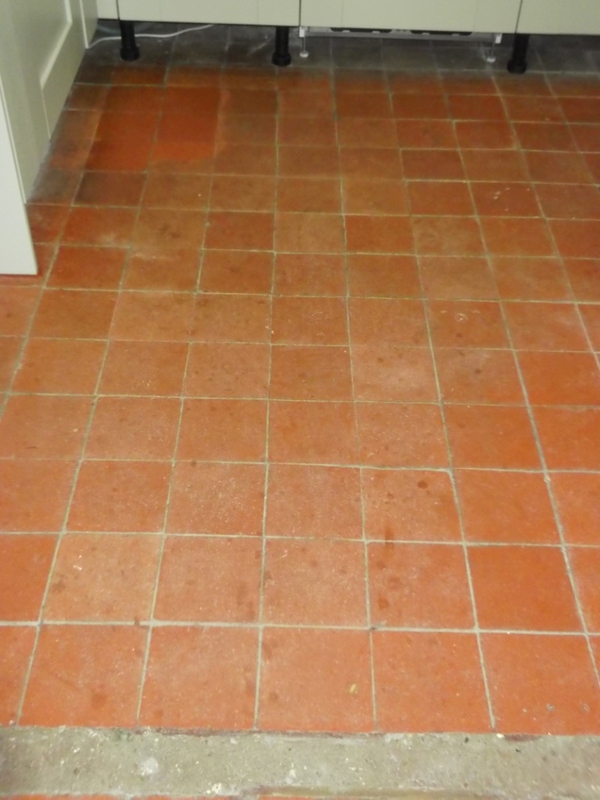 The tiled floor was left to dry overnight ready for sealing the next morning. 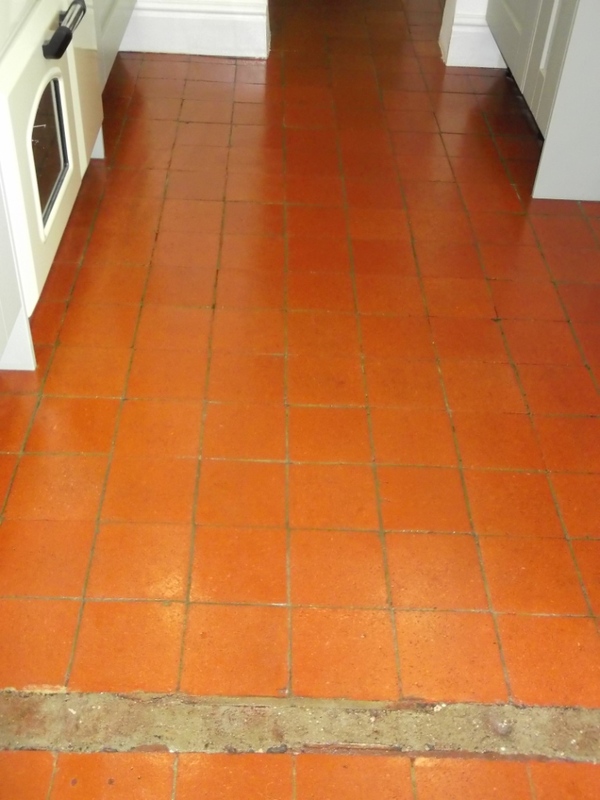 The following day, the tiles were sealed with four coats of Seal & Go, a Tile Doctor product that provides a long lasting stain resistant surface seal and a durable low-sheen finish. 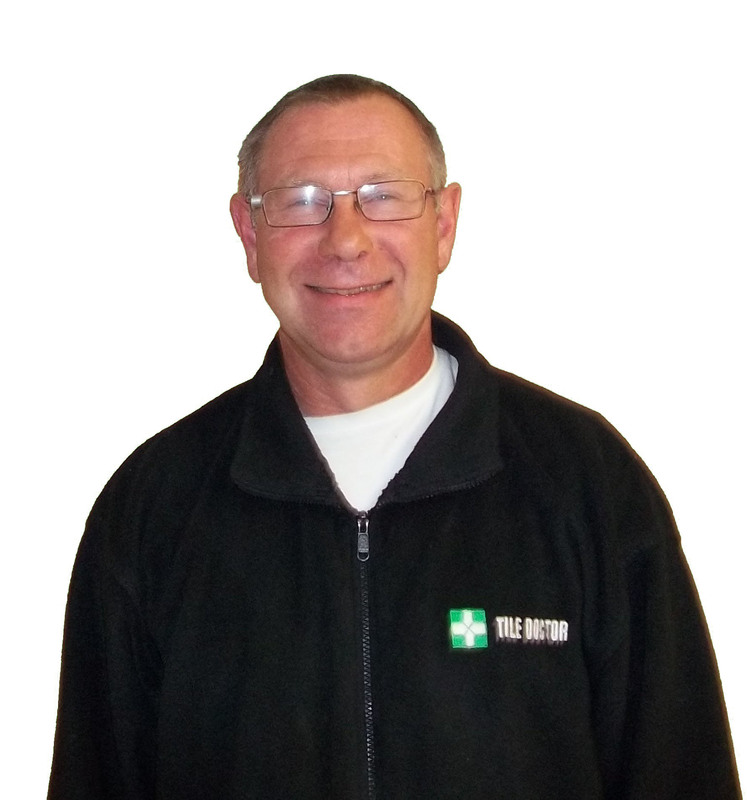 You can see the difference in the photographs.